What’s a Cucurbit? Downy Mildew Knows. Cucurbits are a plant family consisting of squashes, melons and gourds, including crops such as cantaloupes, cucumbers, pumpkins and watermelons. Most of the plants in the cucurbit family are annual climbing or trailing vines. 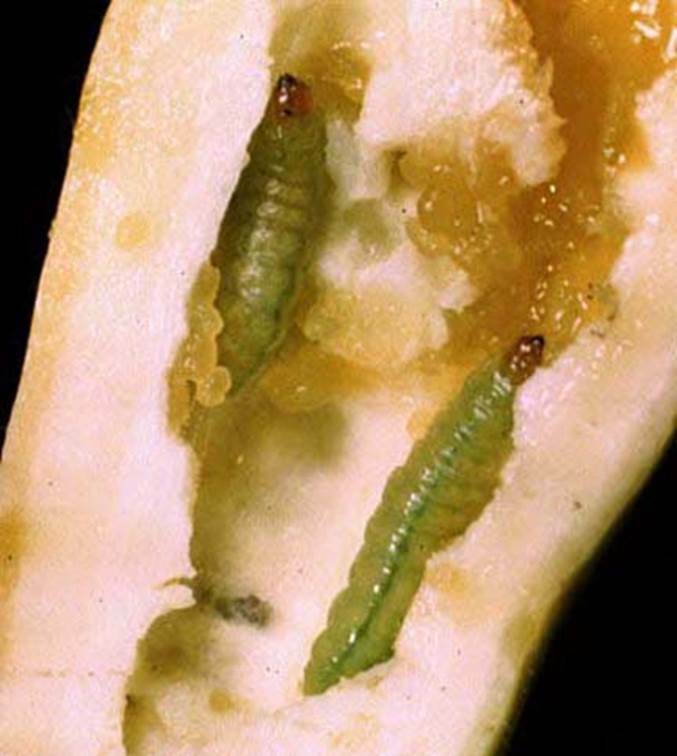 Downy mildew of cucurbits is caused by a fungus which infects only cucurbit crops. Downy mildew symptoms are almost exclusively confined to the leaves. The tiny spores of the fungus fall on a leaf, germinate and force food absorbing organs into the leaf. These rootlike structures remove nutrients from the plant. 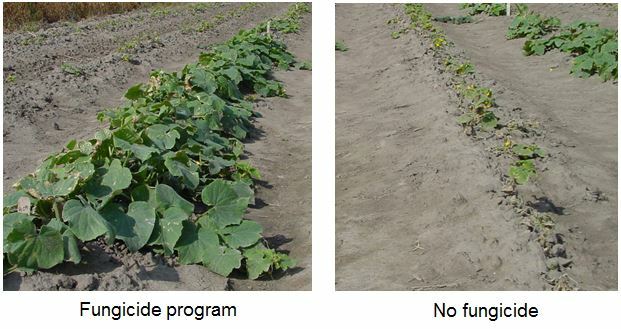 Downy mildew can defoliate an entire watermelon field in 10 to 14 days. “Clemson University plant pathologist Anthony Keinath urges South Carolina farmers to scout and spray after downy mildew infection was found June 18 on non-sprayed sentinel watermelon at Clemson’s Coastal Research and Education Center (REC) in Charleston. It is the earliest in the growing season that the watermelon strain of the disease has been found in South Carolina.The mildew also was found on cucumber, cantaloupe and several different varieties of squash over the past two weeks. “The rainy, cloudy weather we’ve been having favors rapid outbreaks of downy mildew. Early detection is critical to controlling outbreaks,” said Keinath, professor of plant pathology in Clemson’s School of Agricultural, Forest, and Environmental Sciences (SAFES). Source: Southeast Farm Press. June 20th, 2013.